Would also like to know this. Maybe not many who tried it? It is good but not most agressive cutting compound. Meguairs M101, Rupes Zephir, Nanolex Heavy Cut, Scholl S3 XXL, Angelwax Resurrection are all more agressive. Ok so if hard cutting is needed the compound is not the best. But i guess that with a MF pad fot example it will be some cutting done at least. Or just use a different cutting compound an then use the polish and primer. Just for the sake, saw today on Insta that Gyeon launches a new heavier compound. That could be interesting! Haven't tried the compound, but i have the Polish. Imo the initial cut are quite aggressive, just like M205. And it plays like Ultrafina, which is can be pushed for a very long set. As for compound, I haven't found anything better than Shine Supply Chop Top for rotary, and the Flat Top for working with BigFoot. Have You tried Scholl polishes yet? I also rave both a lot - chop top and flat top. Flat top is extreme good with mequiars microfiber and even better - with CarPro orange bad to cut and finish also to lsp. Same here with chop-top, which cut like hell and finish to lsp and extreme good with carPro Flash white cutting bad. Just change cutting bad to Carpro glossPad and you think, where i have been earlier. I have also Classic cut and classic polish and offcourse lsp-s.
Last edited by galamaa; 06-07-2017 at 07:58 AM. 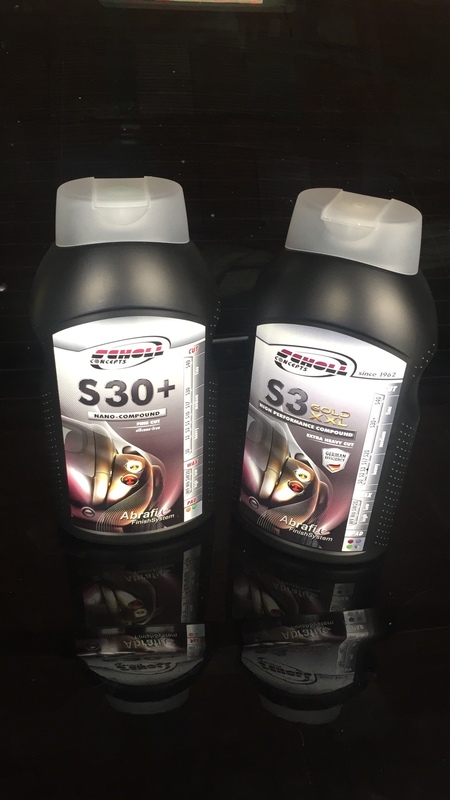 I use them quite a bit and rate them highly, S3 XXL is a hard hitting compound, it and FG400 would be my go to compounds now.